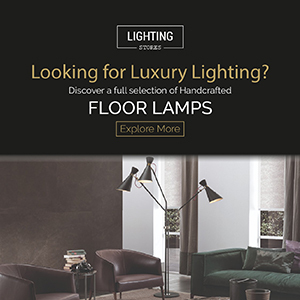 Today we’re giving you a few ideas on how to improve your industrial design by using the most stunning modern floor lamps. These unique lighting designs are going to add a modern touch to your industrial loft, bringing a retro atmosphere to your home decor. The tall Cole standing lamp is the ideal corner piece for a lobby or a living room. It has a balanced elegance and presence. Made with architectural environments in mind, it is a classic and versatile lighting piece. Like a vintage microphone on top a stage, Lee standing lamp will steal the attention to it. The ideal corner piece for a demanding setting. It’s a mid-century lighting design classic. Pastorius standing lamp is the ideal corner piece for a lobby or a living room. It has a balanced elegance and presence. Made with architectural environments in mind, it is a mid century lighting design classic.